Wilkinson's 'Lazers Not Included' Goes Silver! Wilkinson's 'Lazers Not Included' Goes Silver!Wilkinson's debut album hits more than 60,000 digital downloads. 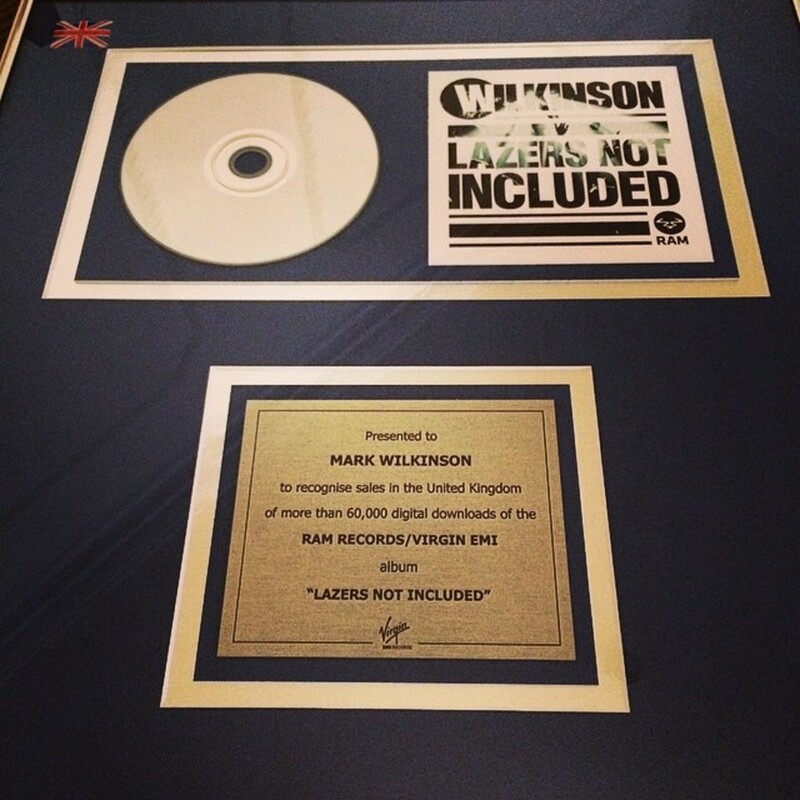 Wilkinson’s ground breaking ‘Lazers Not Included’ album just went silver in the UK! After releasing single ‘Afterglow’ which stormed the charts, and debuted at #8, the eagerly anticipated debut album Lazers Not Included followed in quick precession. Since its inception, Wilkinson has been on unstoppable form this year. ‘Afterglow’ premiered as Zane Lowe’s Hottest Record in the World and it also hit Radio1’s A-List and was playlisted at Capital Radio. Lazers Not Included stamped Wilkinson’s name in the faces of a worldwide audience. Blessed with an astute A&R ear, Wilkinson enlisted some of the freshest UK vocal talent to appear on his debut. As well as P Money, Arlissa and Becky Hill, Wilkinson also teamed up with Iman and Detour City. Unified by Wilkinson’s sharp production skills that earned him a ‘Best Breakthrough Producer’ award at the National D&B awards, ‘Lazers Not Included’ is filled with an undeniable quality that has seen Wilkinson top the iTunes Electronic Chart and earn Radio 1 champions in the form of MistaJam, Annie Mac, Nick Grimshaw and Zane Lowe, and a ‘Record of the Week’ from Sara Cox.